Dr. Gourley and Dr. Hogue are dedicated to providing the highest quality, most advaced and experienced eye care in an atmosphere of respect, compassion, and caring. 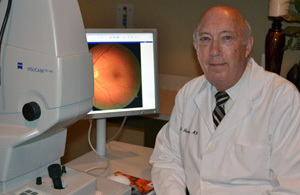 Edmond Regional Eye Associates has been serving the community for over a quarter of a century. We offer a full range of total ophthalmology eye care services including complete eye exams for adults as well as children. We perform major eye surgery such as cataract removal, glaucoma surgery, eyelid lifts, and many others. 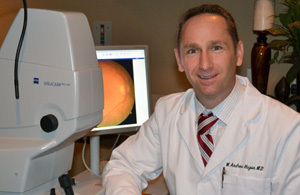 We also perform advanced LASIK refractive surgery with state-of-the-art technology. We utilize the most advanced VISX Star S4 laser system with Custom Wavefront-Guided LASIK. Dr. Hogue and Dr. Gourley also routinely see patients with issues such as diabetes, dry eye, glaucoma, macular degeneration, and eye trauma. You don't have to have eye "problem" to be seen by us. We see patient's daily for general eye check-ups, eye glasses, and contact lens exams. You do not need a referral from another physician or an optometrist to be seen. We are happy to see "walk-ins" when our schedules permit. Please call today to schedule your appointment!